That’s probably the most common question asked about treating back pain. The best way to answer it, I have found, is to explain exactly what ice and heat do and why they help relieve pain. 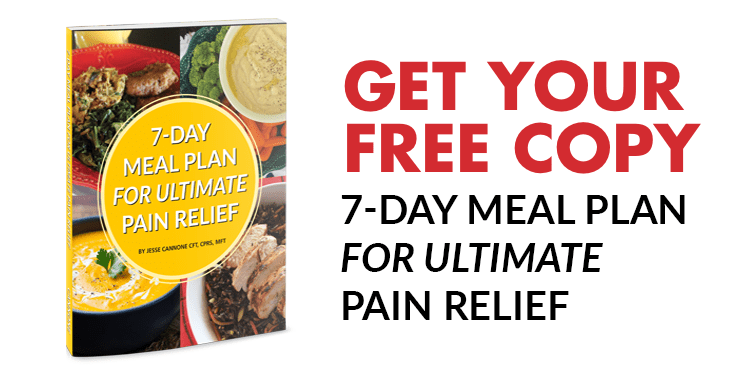 Once you understand the mechanism behind these treatments, you’ll be more likely to use them when your own back pain flares up. To review: The initial spasm causes pain and swelling, which leads to more injury and further spasms. More pain, more spasms, more pain, more spasms—a vicious cycle. Without treatment, this cycle can last for years. The only way to begin healing the muscle is to break this cycle. That’s where ice and heat come into play. When You Are Ready to Apply Heat…. Heat or cold also shut down the nerves that fire the pain signals—heat relaxes them, cold numbs them. When the brain doesn’t get the pain signals, it doesn’t act to contract muscles and constrict blood flow. After applying heat or cold consistently and continually for a certain period of time, the pain-spasm cycle is broken. Then, real healing can begin. Ice or heat, Which Is Best? When an injury first occurs, use ice first. This is true whether the injury is acute (caused by some trauma like lifting something heavy or sitting too long) or subacute (a flare-up of a chronic condition, like sciatica). It’s also important to use ice fast. You need to get ice to the injury within 5 minutes to get the best effect. If you’re not at home and don’t have ice handy, head to the 7-11 and buy a bag of ice. Begin treatment immediately. Apply ice for the first 48-72 hours. Use it for 20 minutes, then take it off for 20. Repeat as often as you can. After 48-72 hours, when you feel the swelling has gown down and the pain-spasm cycle is broken, you can begin stretching the injured muscle with the appropriate exercises. At this point, choosing ice or heat is really up to you. Most people like heat before they exercise and ice after. Either way, you’re getting red blood cells to the area to promote healthy healing. For a really advanced treatment plan, I recommend a contrast bath. Try 20 minutes of heat followed immediately by 20 minutes of ice. Repeat three times. The contrast really shocks the body and gets it out of the pain-spasm cycle. Ordinary heating pads are slow to heat and do no more than warm your skin. With penetration of just 2-3mm (about the thickness of your skin), they simply can’t pierce far enough to warm deep muscle, tissue and organs. As soon as you turn the heating pad off, any small benefit you might have gotten from the heat instantly disappears. Far infrared heat, on the other hand, heats fast and penetrates so deep, you’ll feel the comfort and pain relief last up to six hours (depending on how long you soak in the heat). In this section, I want to review the various way you can apply ice or heat and the devices that are available today. Let’s start with ice. There are chemical ice packs, which I personally would not recommend because they can get too cold and burn the tissue. There is the good old bag of frozen vegetables–not great, plus it is a bit of a waste. There are pain creams that use Menthol to give a cold sensation to the skin and work great. They can be applied ASAP. The best application of ice I have found is to use a Zip-loc bag with crushed ice in a bit of water, Remove all of the air from the bag and then zip it closed. It is best to also put a wet paper towel on your skin over the affected area, then apply the ice bag. 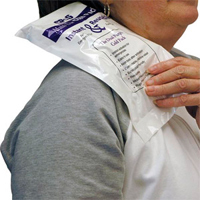 To further improve the effectiveness of ice, first rest the area, then use a wrap over the ice pack to improve the contact with the skin and to compress the area to minimize the swelling. If the area can be elevated, please try to elevate it to allow the area to drain at the same time. Now let’s talk heat, my favorite form of therapy. There are heating lamps, heating pads, hot tubs, hot showers, pain creams with cayenne pepper and even ultrasound, which is a form of heat. I have identified 28 back pain-related conditions and 15 general medical conditions for which far-infrared heat can help promote better health and wellbeing. Remember that heat and ice are not the solution to long-term pain relief. They are the paths to the solution. The goal of both ice and heat is to break the pain-spasm cycle and allow you to do the stretching exercises that build muscle strength and flexibility. That’s what brings prolonged pain relief. And that’s the ultimate goal, isn’t it?